Never forget what? | Makiko Itoh : Not a nameless cat. I remember that day very clearly. I was living in Zürich at the time, doing some work - at the computer again, of course - in the afternoon. I happened to also be idling in an IRC channel for an interest I've long since abandoned. Someone there mentioned "an airplane's crashed into the World Trade Center" and I ran to the TV to turn on CNN, which at the time was still a fairly respectable news outlet. My heart sank as I saw the smoke...I used to commute through the PATH station there every day, when I lived in Jersey City. But at that moment, we still didn't know the full extent of the horror to come though. There had been a bomb in the WTC just a few years prior to that, which did some damage but (if I recall correctly) did not kill anyone. I thought it might be that level - hoped it would be that level. How wrong I was. Fast forward 5 years. 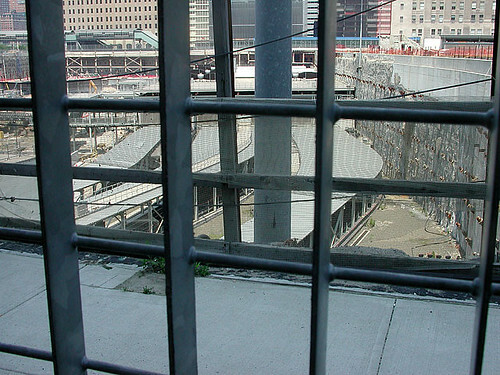 I finally got up the nerve to take a look at the WTC site in person. I even rented an apartment right near it for a couple of weeks. The still-gaping hole in the ground was painful to see of course, but still more painful was the change wrought to the nation, to the world. 10 years later, and it hasn't gotten much better. 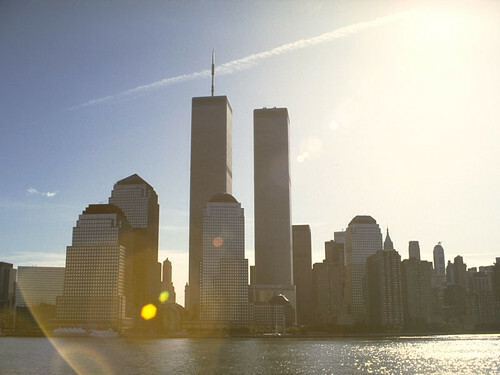 If you're old enough to remember, think back to how things were before September 11, 2011 - and how they are now. Is the world a better place? Is life easier? Do you feel more or less friendly towards your neighbors? How about trying to travel long distance these days? Is the world a nicer, safer feeling place, or the opposite? In other words, how's your quality of life? I am not talking about how many more possessions you have either. Are you happier, freer, more at ease? When people say "Never forget", what do they mean? Not forgetting the people that were killed, the people who risked and sometimes lost their lives to save others - that is important. But too often, "Never forget" seems to imply - keep up your shields. Don't trust the Others. Arm yourselves, your country. We must protect what is "ours" - our country, our way of life, our energy sources, our wealth. Maybe a better way to go is "Remember those who died, but let's really move on and heal, and mend, and progress". But that doesn't neatly fit on a bumper sticker.